Paradise is beneath the footsteps of mothers. Say: Behold ye not the world, its changes and chances, and its varying colours? Wherefore are ye satisfied with it and with all the things therein? Open your eyes and be of them that are endued with insight. 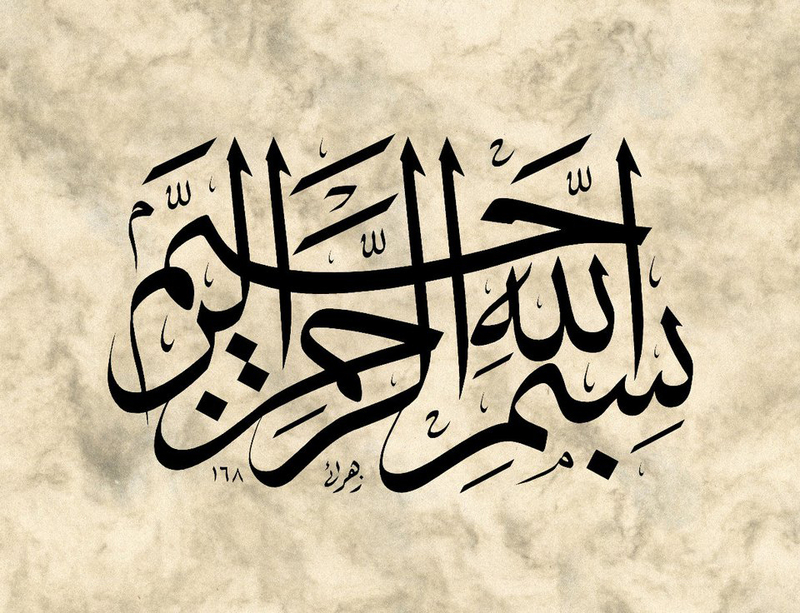 In The Name Of God The Merciful The Most-Compassionate! 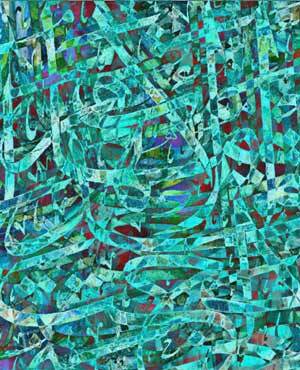 Bio: Burhan Zahra’i was born in 1963 in Qatar and he moved to Canada in 1986. He has a Bachelors degree in Sculpture from Concordia University, Quebec, Canada. 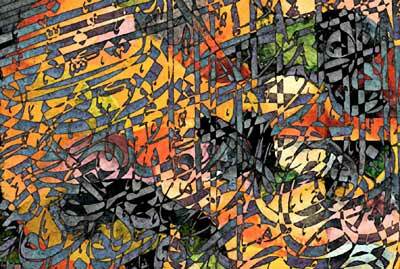 Since the age of 12 he has practiced the art of calligraphy, teaching himself from books, newspapers, and from reproductions of calligraphy by famous calligraphers of the Arab world. He has done numerious private commissions. 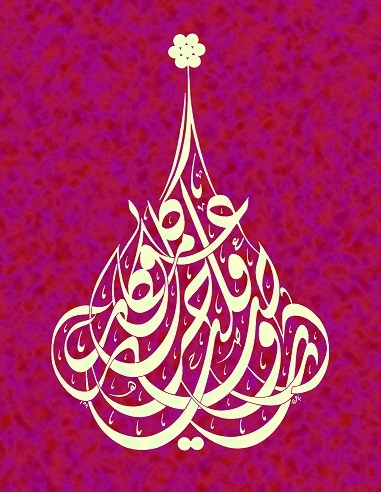 A major work of his was a calligraphic rendering of the Kitáb-i-Aqdas by Bahá’u’lláh, at the request of the Universal House of Justice. 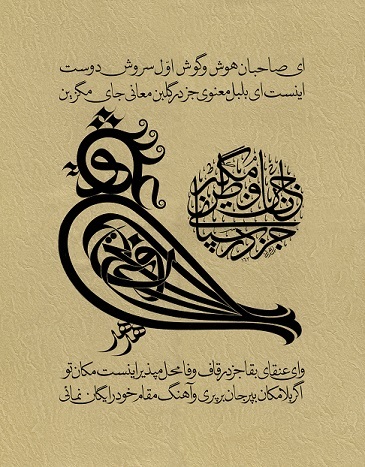 The transcription of the Kitáb-i-Aqdas was printed as the first authorized publication of the book. 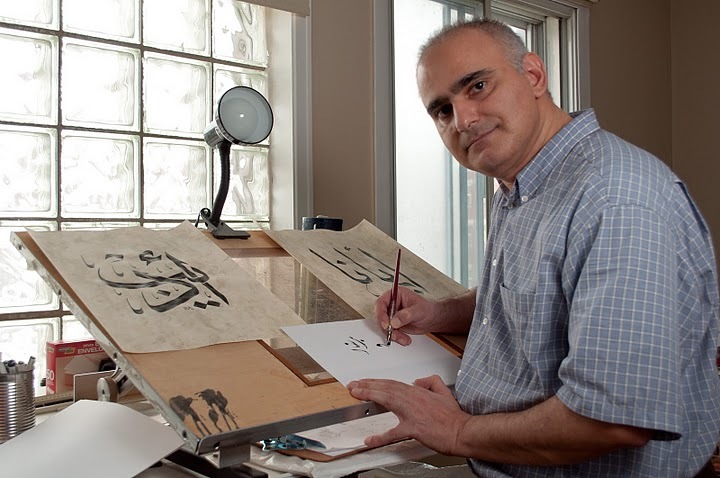 Burhan Zahra’i has had many calligraphy shows in Canada. His style is classic and traditional. Recently he started making digital work in color, using photoshop. 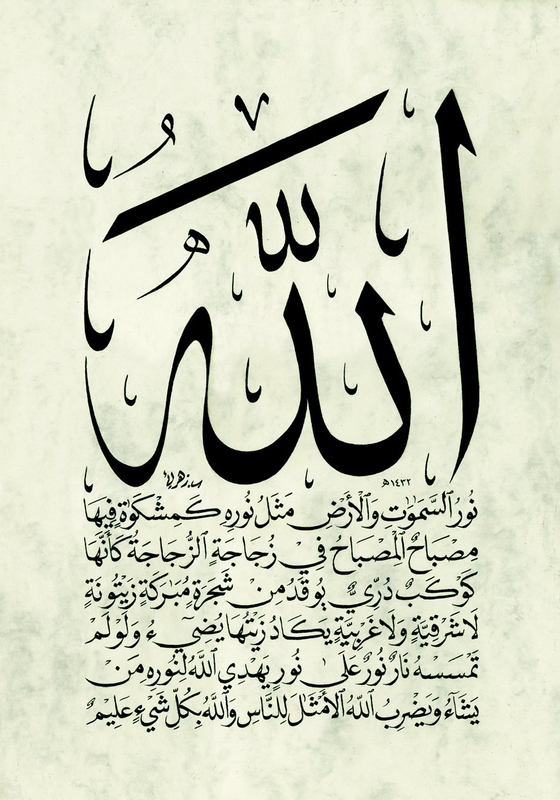 Burhan sells reproductions and originals of his calligraphy and his calligraphic jewelry via his website.